Stop by An Island Life where I’m giving away a Handstamped Sterling Silver Necklace from Hazelnut Cottage (Feb 14), a Sushi Tee from Apples ‘n’ Oranges (Feb 12), and a Look Better Naked Gift Set (Feb 10). Who wouldn’t love that? There’s a photo contest going on at Write From Karen where you could win a $25 gift certificate to one of a number of different places. This time the theme is “Love Is . . .” Enter before February 15th and then have all your friends vote for you! Over at A Frog in My Soup, you could win a copy of Sentinel: City of Destiny by Landel Bilbrey (Feb 12) or a personalized shirt from Regionz Kids (Feb 18). Stop by sassyfrazz for a chance to win either a Silibib (Feb 14), an adorable tutu (Feb 16) for the princess in your life, or a 16 oz. jar candle from Southern Candle Lady (Feb 13). Want to sweeten up your love life? Beloved Mama is giving away a copy of Chocolate Kissses for Couples by Cindy Sigler Dagnan. Deadline to enter is February 13th. Want to show off your new blog? Starting tomorrow, After A Cup Of Coffee . . . or Two is hosting a Bloggy Move Giveaway where you could win some awesome prizes! Stop by for all the details. 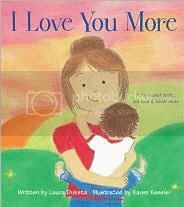 You could win a copy of an adorable children’s book – I Love You More by Laura Duksta. We have this book and it’s one of our favorites! Stop by Everything Moms before February 29th. Little Blots of Faith is having a really easy giveaway going on right now. All you need to do is leave a comment on the giveaway post before February 13th and you’ll be entered to win a talking Jesus toy, Memory Cross Valentines, $15 from Homeschool EStore, & Little Bits. 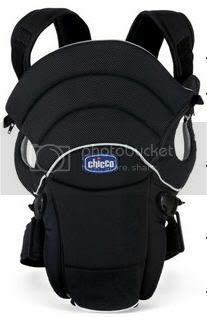 Because I Must Blog is giving away a Chicco You & Me Deluxe Infant Carrier ($99). To enter, just stop by the giveaway post and mention what your favorite Valentines day memory is before February 17th. Here’s another great book to add to your library – The Gift of Fear by Gavin de Becker. To win a copy, stop by Lookit! I Spy . . . and leave a comment before February 13th. How would you like to have your loved one’s face on a sterling silver pendant? Stop by superdumb supervillian for a chance to win one courtesy of BabyFaces. Deadline to enter is February 17th. Anew and Afresh is requesting your help in the relief efforts at her alma mater, Union University in Jackson, Tenn. Union University was recently hit by a devastating tornado and many families were affected by this tragedy. For more information on how you can help, visit UUEmergency. Did you know that February 7 – 14 is Congenital Heart Defect Awareness Week? Ramblings From Life says, “Each year, an estimated 1 in 100 babies are born in the United States with a congenital heart defect; CHDs are the most common birth defect and the number one cause of death from birth defects during infancy. Nearly twice as many children die from congenital heart defects as from all childhood cancers combined, yet research for cancer receives five times the funding. This is due in large part to the lack of awareness most people have about congenital heart defects.” For more info, please stop by Ramblings From Life or the official CHD site. 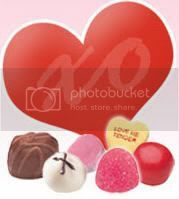 The National Confectioners Association just released a new survey for Valentine’s Day. Over 2,000 participants were polled to find out which Presidential candidate will be receiving their sweet support this Valentines Day (and Super Tuesday). Find out who received the most hearts. If you were polled, which candidate would get your heart? In celebration of Mother’s Day, Teleflora, NBC, and Redbook Magazine have teamed up to find America’s Favorite Mom. To nominate your choice, stop by America’s Favorite Mom where you can upload videos, favorite photos or essay testimonials. Tthe top 15 nominees will then appear on NBC’s “The Today Show” throughout the week before Mother’s Day and viewers will have the chance to vote for their favorite mom at the end of each show. The winning mom from each day of the week will be featured on “Teleflora presents America’s Favorite Mom,” a one-hour primetime NBC television special airing on Mother’s Day, May 11, 2008. 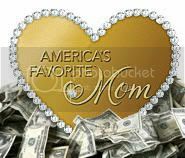 On the special, “America’s Favorite Mom” will be crowned, a rose will be named in her honor and she will also receive thousands of dollars in cash and prizes (including an 18k gold heart-shaped America’s Favorite Mom pendant trimmed with dazzling diamonds). Nominate your favorite mom today! Looking for cool ringtones this Valentine’s Day? Stop by Thumbplay and find that perfect song for your love (or not)! Do your kids quarrel? Well, the people at Goody Blog want to hear all about it. Your story may even be selected to appear in their printed magazine! Stop by for all the information. The Opinionated Parent is looking for bloggers who are interested in doing occasional product reviews. Here are more free books from HarperCollins that you may request for possible reviews on your site. If interested, just email Felicia dot Sullivan at HarperCollins dot com. Hurry! Supplies are limited. If you would like to have a post on your blog featured in 5 Minutes Around The Blogosphere, please send us an email at features5minutesformom at gmail dot com and we’ll see if it can be arranged. Kailani can be found at An Island Life and An Island Review. I was told that you sometimes like to publicize contests – I think you publicized a similar contest for me last year and wanted to let you know I was having it again! please come by to enter. i have 75 prizes worth over $3500 for valentine’s day + i added 2 more giveaways today. Thanks for the link, Kailani!! Thank you for the link. You are helping raise awareness for a great cause. Thanks for all the giveaway info and good deal info. Thank you so much for including my giveaway in your post! I’m really excited to draw the winners!